Are you attending the 2016 Federation of Genealogical Societies Conference at the end of August in Springfield, IL? I am presenting two World W ar II programs unlike anything you’ve heard before. Friday, September 2, 3:30 p.m.
All the records did not burn! 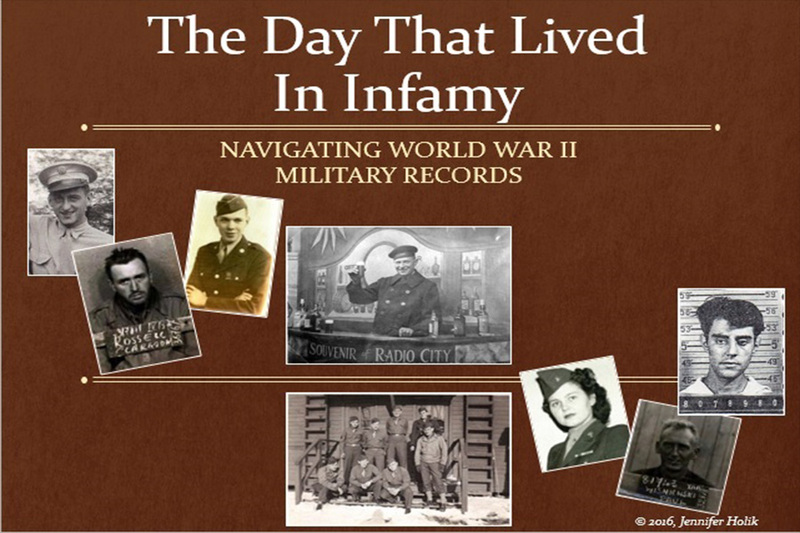 Learn the basics of how to begin researching your World War II military ancestors. We will explore numerous military records, books, photographs, and family stories. Saturday, September 3, 3:30 p.m.
A continuation of “Finishing the Story,” we will explore the records available to tell the stories of those who died in service. We will also discuss those who took care of our Soldier Dead, the Graves Registration Service men. Learn about their job and the reasons it took so long to have our soldiers repatriated and what happened to the personal effects during the course of recovery and repatriation. I was chosen to give two World War II talks at the 2016 Federation of Genealogical Societies (FGS) conference in Springfield, IL. Want to start your World War II research today? Pick up a copy of my Stories from the World War II Battlefield books which cover all branches of the military.